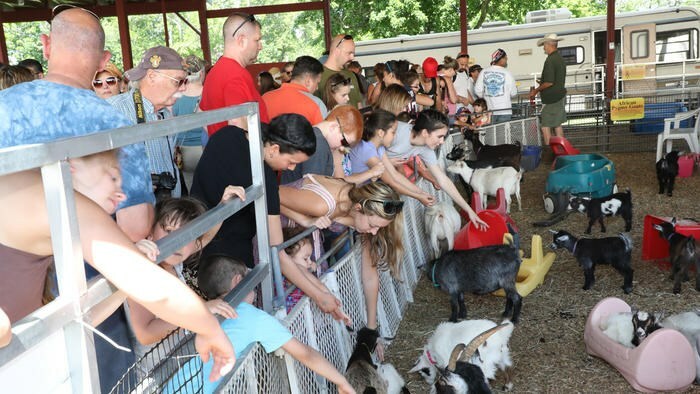 FARM ANIMALS- cute pygmy goats that love to be fed, petted and plays with toys , sheep that are soft, curious alpacas, a BIG bunny and a donkey that loves people would love to come to your event. We'll teach about the animal and the care they require and read an animal story too. We cater not only to the children but the "big kids." We enjoy hearing the stories from our seniors of the animals that were important to them years ago. We entertain ALL , not just the children. We have been in business for over 25 years, licensed and insured. We strive to make ALL events a memorable experience whether it be a small private party, a corporate event or a large public event. Our animals have and are mascots for companies, they've been trained for plays including Broadway and MOST important- they are OUR FAMILY-- We love them and they love us and other people. They were great ! Even with the threat of some snow, they came , couldn’t have the llamas but they brought the sweetest lamb, goats, and little piglet ! All the kids and some adults just could get enough. Highly recommend them! Thanks Alicia ! We had fun and Alexis says the ziti was yummy. They were amazing. Very prompt and helpful. She brought a baby sheep for the kids to bottle feed. Very happy the live nativity made the night. Would highly recommend. Great time by all! Very professional and personable with all the guests. Would definitely hire again!! The animals were sooo cute!! I had a very positive experience working with Circle K Farm. They did a fantastic job at the venue, they were reliable and showed up on time. The animals were well cared for and the children loved the opportunity to meet them. They were very courteous and I would hire them again as well as recommend them to others. Thank you ! We truly enjoyed bringing our animals to such a well organized event. Circle K was perfect for my daughters birthday party! 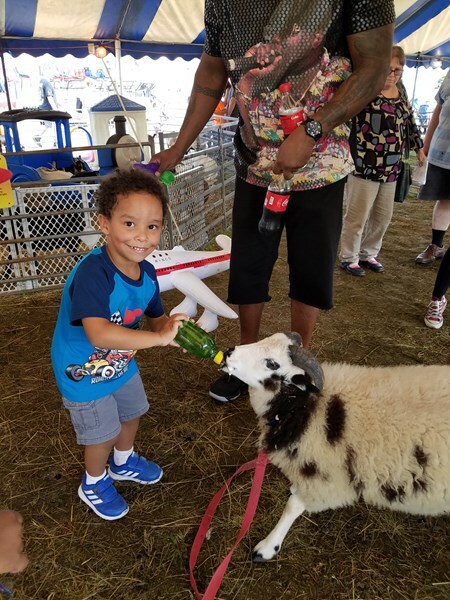 The kids loved the animals and so did the adults! Mary and Ted were super friendly and made sure the kids all had a good time. Thanks Circle K! Great customer service provided. My daughter and her friends enjoyed the experience and interaction with your farm animals. Circle K Farm was perfect! Because we were in the middle of a heatwave, they called the day of the event to ake sure that we would have shade should they bring the mommy and baby alpaca. They showed up when they said they would, 20 minutes early to set up and took care of everything. Mary let me bottle feed the 2 month old lamb, Jacob, since it was my birthday celebration! She also let me sit in the pen with the baby pygmy goats (my favorite), which absolutely made my birthday! Mary also allowed my sister-in-law and brother to sit with the alpacas. It was such an amazing experience and all of my friends loved that we had a petting zoo! Totally recommend!!! 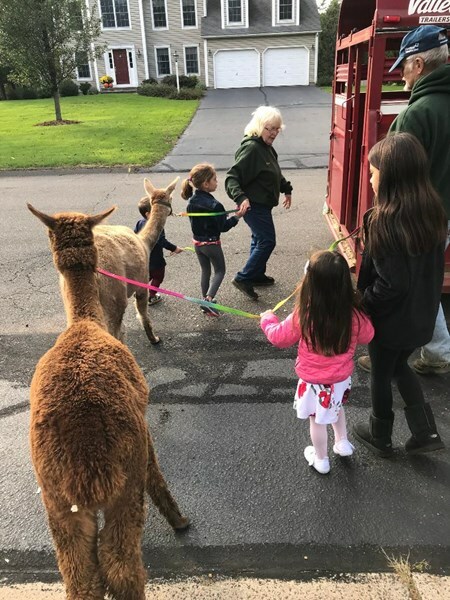 Please note Circle K Farm will also travel to Marlborough, Moodus, Pine Meadow, Poquonock, Portland, South Glastonbury, Haddam, Middletown, Windsor, Amston, Colchester, Cromwell, East Windsor Hill, Higganum, Unionville, East Haddam, Glastonbury, Hartford, Hebron, Rocky Hill.